but liquor is quicker. A while back, we accidentally discovered that Honey Jack was an excellent accompaniment to the sea salt honey caramels from the French Broad Chocolate Lounge in Asheville, NC. A few days ago, we discovered, again by accident, that the Sogno di Sorrento crema limoncello and the super lemony lemon bites from Trader Joe’s are an equally wonderful pairing. So candy may be dandy, and liquor may be quicker, but together, they’re pretty well unbeatable. 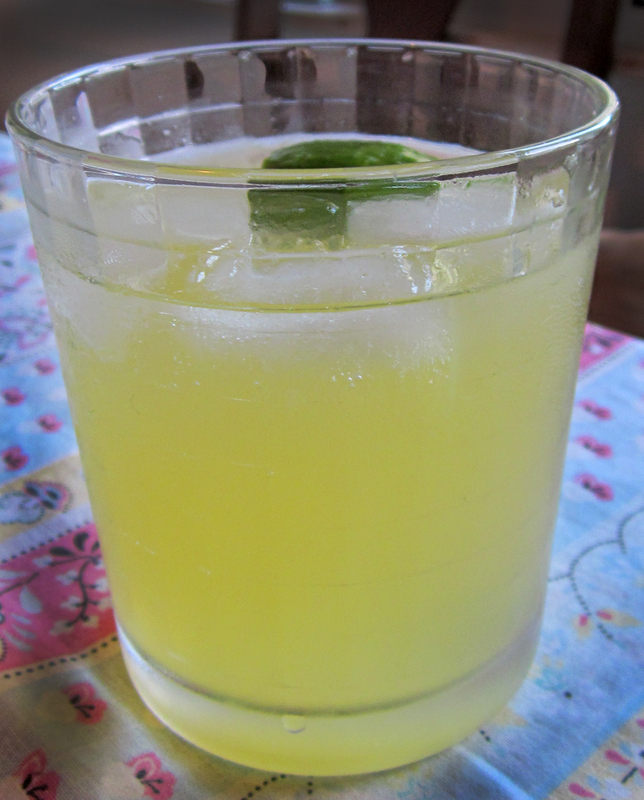 Muddle basil into simple syrup. 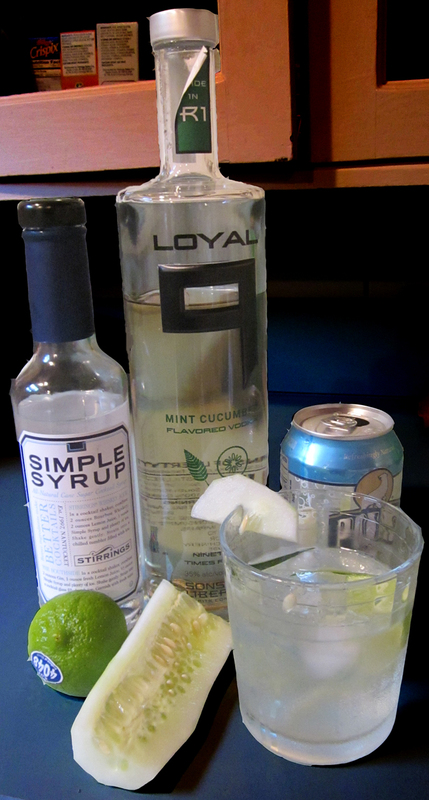 Mix vodka and simple syrup into a glass with ice, and top with seltzer. Squeeze in some lime juice, and add some small bits of chopped up cucumber. Then decide that it’s too subtly flavored, and add more cucumber. Add a garnish to make it look pretty. It wasn’t a bad drink, it just wasn’t my favorite. All in all, we decided that this vodka works best in a bloody Mary, where the subtle hints of cucumber and mint are just right. So Jamestown, RI doesn’t exactly count as “the tropics.” But, while there, we concocted this spot of tropical yum, which could really only happen in New England…. Put some ice in a glass. Pour in vodka and top with soda. Squeeze in lime juice and stir. Voila! 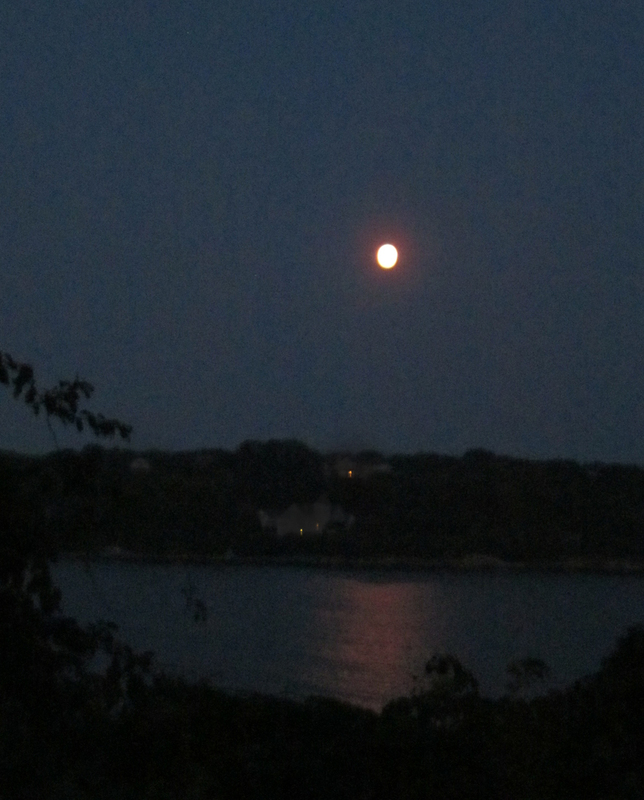 So we’re here in Jamestown, RI, watching the blue moon rise over Narragansett Bay….. Shake first three ingredients with ice, until suitably chilled and silky smooth. 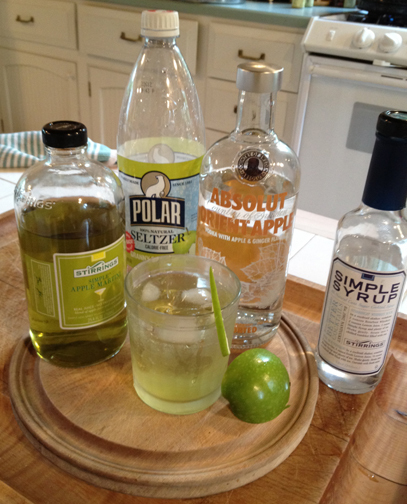 Decant into pretty glasses, top off with seltzer & squeeze in the juice from the lime. 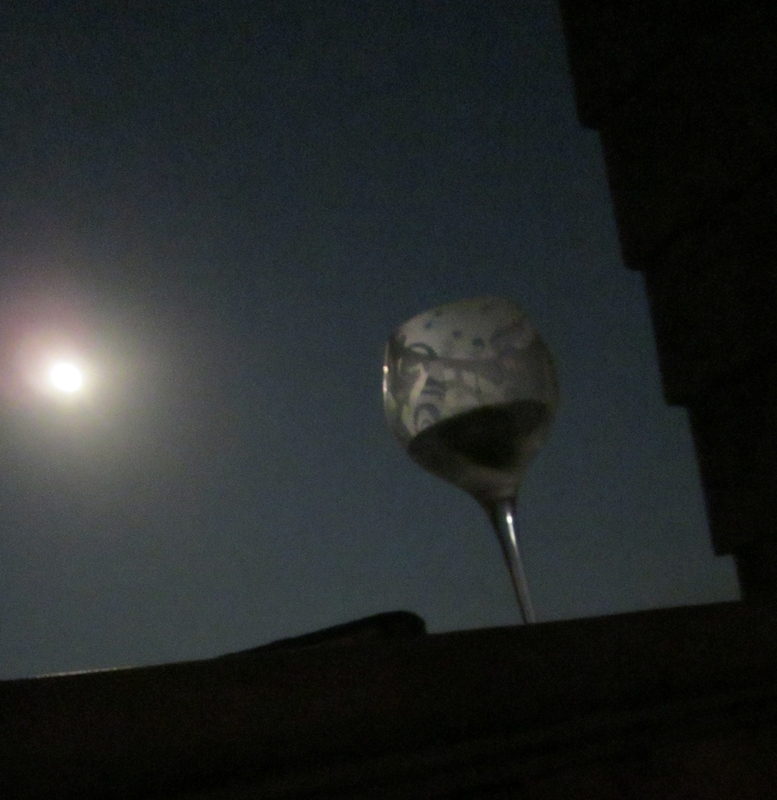 Enjoy under the light of the blue moon.